We couldn't be more excited about our next event in ONE WEEK!! We have one of the top FEMALE Jiu Jitzu fighters in the US as our instructor for a PRIVATE class to teach us all the top, most badass self-defense moves! There will be fellow instructors joining the class to work alongside us. Join us this Sunday for an incredibly empowering class! ​Questions? 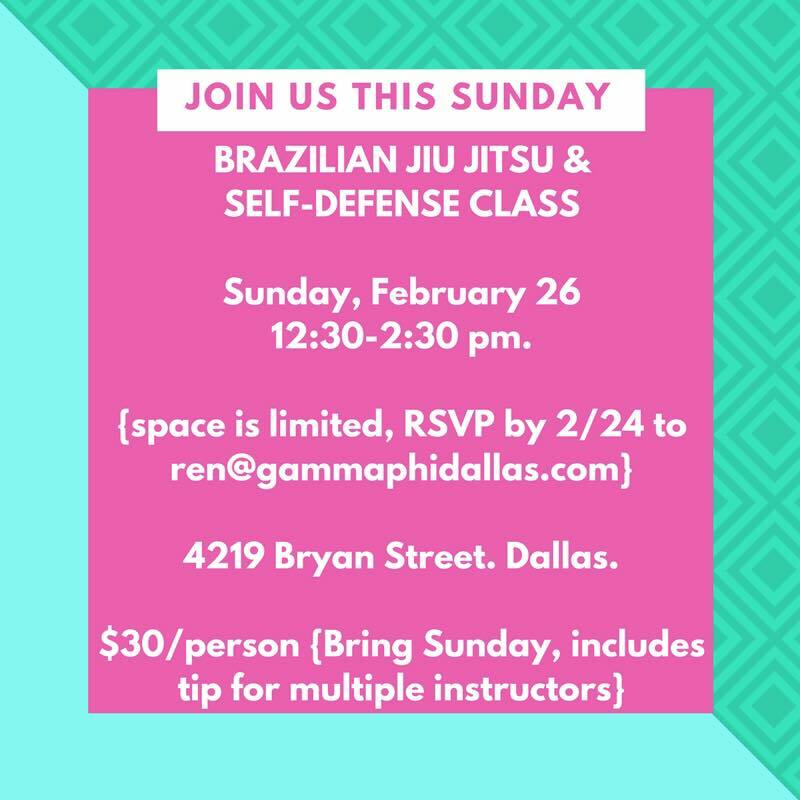 Contact Ren Morrison at ren@gammaphidallas.com or Stephanie Chung at 214-577-8618 for more information.